China has become the world's second-biggest movie market, displacing Japan, underscoring its importance as a key market for Hollywood's moviemakers. 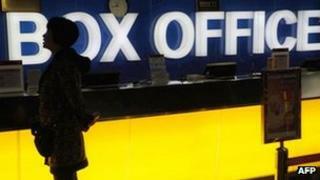 China's box office revenues surged 36% to $2.7bn (£1.8bn) in 2012, the Motion Picture Association of America said. The surge came after China eased some restrictions on the number of foreign films allowed to be screened. Last year, it agreed to allow an additional 14 Imax or 3D films over and above the quota of 20 foreign films. Beijing also increased the amount of revenue foreign movies are allowed to collect from distribution in China to 25% of overall ticket sales from the earlier limit of 13%. Industry players said box office sales in China had the potential to grow even more if Beijing eased the restrictions further. "China is building about ten screens a day" said Chris Dodd, chairman and chief executive of the association. "There is a voracious appetite for product. Our films have done consistently well there." The US movie industry has long complained that the limit fuelled demand for pirated copies of films, which are widely available in China.